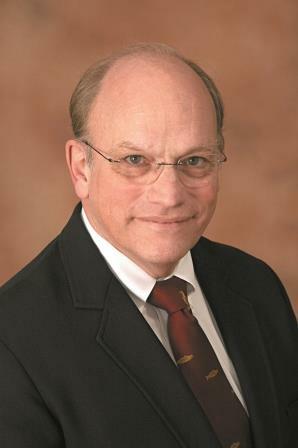 Editor’s Note: On April 27, 2016, the Department of Health and Human Services issued a Notice of Proposed Rulemaking to implement key provisions of the Medicare Access and CHIP Reauthorization Act of 2015 (MACRA), bipartisan legislation that replaced the flawed Sustainable Growth Rate formula with a new approach to paying clinicians for the value and quality of care they provide. In early May, the Massachusetts Medical Society sat down with Andrew Slavitt, Acting Administrator of the Centers for Medicare and Medicaid Services, to talk about the new rule and how it was developed. More information on the Proposed Rule can be found here. MMS: Recently you said that you thought CMS had lost the hearts and minds of America’s doctors, and the new MACRA rule was an opportunity to win them back. Can you tell us how you got to that point and why you think the new proposed rule will change physicians’ perceptions? MR. SLAVITT: I want to start with mentioning that the Quality Payment Program that we put out in a proposal comes at a very exciting time in the evolution of Medicare. The implementation of MACRA allows us to take the next transformative step in the Medicare program, by introducing the Quality Payment Program to pay physicians and other clinicians for quality, with a more flexible approach, common-sense approach. MACRA repealed the SGR and streamlined the patchwork of Medicare programs that currently measure value and quality into a single framework where every physician and clinician has the opportunity to be paid more for providing better care for their patients. MACRA builds on the important reforms of the Affordable Care Act, which increased the numbers of Medicare clinicians participating in alternative payment models, which are models that reward coordinated, innovative care. But, there is a lot of fatigue that has come with all the changes over the years. We know it can feel like there are people that sit around thinking of ideas for how to make a physician’s job more difficult; when what is really happening is the accumulation of requirements over time, passed in a series of laws or that come through a series of regulations. If people don’t implement and manage them carefully, we end up in a situation where I think we are now – where despite all of the best intentions, the burdens add up for those on the front lines where care is given or received. If people don’t feel like they’re being heard, if they don’t feel like they have a voice, and if they don’t feel like the changes make sense for their practice, it can be incredibly demotivating. We have approached the implementation of MACRA with the belief that physicians know best how to provide high quality care to our beneficiaries. And we have taken an unprecedented effort to draft a proposal that is based directly on input from those on the front line of care delivery. Before drafting the Quality Payment Program proposal, we reached out and listened to over 6,000 stakeholders, including state medical societies, physician groups, and patient groups to understand how the changes we are proposing may positively impact care and how to avoid unintended consequences. The feedback we received shaped our proposed rule in important ways—and the dialogue is continuing. Based on what we learned, our approach to implementation is being guided by four principles, which I think are also consistent with the goals of the MACRA legislation. One is to keep the patient at the center, always. Two, give physicians more flexibility to control their own destiny and to control what gets measured, how it gets measured and have a little bit more say in how things work, because I think that flexibility is a critical ingredient to some of the issues that we talked about. Three, is simply to do less. Find opportunities wherever we can to reduce the burden. It’s as simple as that. Fourth is simplify, simplify, simplify. That is something we try to take an opportunity to do in every place we could, whether it’s in the use of technology, whether it’s in taking this patchwork of programs and consolidating them and, it will be in how we ultimately implement many of the other components. We have an opportunity to really make a big change. What we’re going to have to do well is continue to listen, provide as much flexibility as possible and simplify. At the end of the day, after thoughtful and skillful execution, it will be time that tells us how well we have done. MMS: You also talk about user-driven policy design. Can you talk about what that means and how it influenced the new Meaningful Use rules now called Advancing Care Information? MR. SLAVITT: Sure. It’s actually not that radical a concept in the real world. In the real world it might be called “talking to your customers about what they want.” Perhaps in Washington, though, it is a bit of a new concept. A great example of user-driven policy design would be the visit that you led us on when we were in Massachusetts: Sitting down and listening to what people who deliver care say about the impact of our work at CMS. There is no magic to it: just listen; translate needs into actions; create and deliver; communicate and seek further input; continue to iterate. In a nutshell the big trap when doing public policy is to do it from your desk. The opportunity we all have – and it’s quite exciting for the people in the agencies – is to really get out there and think about what it feels like at the kitchen table of the American family, what it feels like in the clinics where people get care and how to improve on that. It is a wholesale different way of approaching this work. When we implemented ICD-10, we used a bit of this approach, I think successfully. We are attempting to roll it out more significantly with the Quality Payment Program. I think you’re exactly right, the Advancing Care Information proponent of MIPS is a critical aspect which we took in a significant amount of input on. And like I said, continuing to listen and iterate is a very important aspect of user-driven policy design. We are in the phase now of listening to input. And even after we publish the final rule, we will listen and iterate. MMS: You’ve also compared the new MACRA proposal to the rollout of an iPhone. So if you’ll forgive me for expanding on that analogy, even in Massachusetts there are physicians who are still using flip phones. You’ve also said, and I’m paraphrasing, that it’s okay to have payment models that aren’t perfect as long as we learn from them. How do you see these perspectives fitting into the implementation of MACRA, e.g., opportunities for physicians who are not used to taking on risk, learning how to bear more risk without fearing that they’re going to lose their practices? MR. SLAVITT: It’s really important to put in context what payment model and incentives are supposed to do. I have never met a physician, nor do I hope to meet a physician, who makes decisions on patient care based upon how they’re going to get paid. I don’t think that’s how physicians are wired. The role of payment models and incentives is simply to reinforce what the clinician believes to be the right way to deliver care. If incentives are done well and done right, clinicians will get reinforcement financially; and the payment system gives them the opportunity and the dollars to invest and reinvest in the kinds of things that they believe are right for their practice and for their patients. We have to make sure it is clear that we know it is the clinical and cultural leadership that improves quality, not public policy. The point I was making about the iPhone is that we are in early generations of some of these payment models. The clinicians who participate should be aware that models are meant to reinforce the good practice of medicine, but the models are not going to be perfect. The models are going to have to get better over time based upon how they get used in the real world and improved upon. For instance, in our second generation models we have made changes, like adding telemedicine or adding patient incentives to make sure that the patient is aligned with their physician in staying healthy. And where did the changes come from? They came from listening to physicians and patients. The physicians tell us this model would be better if it could do this, if it could do that. And that’s the thinking that has to continue. So, like any other good, user-driven program, we want an ongoing dialogue so that year over year the program improves for patients and clinicians. MMS: So on to interoperability, which I know is one of your concerns. You know it’s one of the physicians’ greatest frustrations. Secretary Burwell has said 90 percent of EMR vendors are committed to interoperability, which is great. I think I can hear physicians nationally groaning because they think they’ve heard this before. So what is it that CMS can do and HHS can do to make it real? MR. SLAVITT: Let’s talk about what interoperability really is. This is such an important ingredient to improving health care. But interoperability in some respects needs to just be as simple as this: how can we collaborate for the best outcomes when a patient is going to experience different parts of our fragmented health care system? What we want out of interoperability is simple: having a patient referred for other care and understanding what happens at that visit; or communicating with the physician when a patient is discharged from the hospital to make sure they are taken care of and are healing at home. As you mentioned, Secretary Burwell announced that companies representing 90 percent of EHRs are committing to three vital steps to real interoperability. I thank the many who have made this commitment. It has the potential to set us on a new course, but we all need to be more committed than ever to making sure that the substance of this pledge translates to reality. And you’re exactly right about physicians groaning; we are not talking sending a man to the moon. We are actually expecting technology to do the things that it already does for us every day. So there must be other reasons why technology and information aren’t flowing in ways that match patient care. Partly, I believe some of the reasons are actually due to bad business practices. But, I think some of the technology will improve through the better use of standards and compliance. And I think we’ll make significant progress through the implementation of API’s in the next version of EHR’s which will spur innovation by allowing for plug and play capability. But the reason that the pledge is important is because the private sector has to essentially change or evolve their business practices so that they don’t subvert this intent. In some respects, you can look at me and you can look at the government and say, “Why don’t you just mandate that people do this?” We have very few higher priorities, but the reality is that if we really want change, we need everybody to put pressure on people in the system to make the technology work. So, if you are a customer of a piece of technology that doesn’t do what you want, it’s time to raise your voice. We’re doing everything we can to make sure that the technology vendors stop focusing on meeting the regulations, so they can start focusing on their customers and their users, and design around the physicians’ needs, the caretakers’ needs, the patients’ needs. MMS: We reached out to other medical societies nationally to get some questions for this interview, and they’re all interested in MACRA’s Quality Payment Program, including MIPS and APMs. Many of the questions had a pretty common theme: Physicians are willing to be held accountable for what they’re doing and they know they’re going to be graded on it, so to speak, but they’re concerned about being held accountable for things that are not under their control, whether it’s care that’s not under their control or let’s say a non-compliant patient for whatever reason. The other part of it was registries; how can the medical community be more involved and engaged with CMS in the development of these registries. So your thoughts on those two issues? MR. SLAVITT: They’re very good questions. First, I’ll just go back to my earlier comment, which is that these payment models are intended to be strong signals about the kind of activities that improve patient care. And so, yes, a physician will feel like there are some things that they’ve got to really influence and pieces of the puzzle that they don’t control; we are interested in hearing about those and making sure that those make sense. We work very hard to create what we call a core set of measures, which means that we want to be on the same page with every other payer that’s in a physician’s office so that a physician can focus on one way of doing things. For specialists, we’ve done a lot of work and a lot of collaboration. Eighty percent of our measure sets are specialty specific, and the vast majority of those measures come from physician leadership outside of CMS where people are saying this is the evidence-based state of practice, this is what we want. We spent a lot of time engaging the clinical community – medical societies and front-line physicians – to design a program that’s equally meaningful to a wide range of specialties that practice in very different settings. There’s plenty of ways to be successful within the Quality Payment Program. In addition, for small practices, we’ve designed our proposed rule to provide support and flexibility that match their circumstances, including increased technical assistance, exemptions for small volume practices, allowances for medical home models, and a continued focus on reducing reporting burden. Our teams are set up to evolve these rules and the clinical community needs to continue to be a strong partner in this process. MMS: You are in charge of the most powerful agency in the nation to effect changes in health care in this country at the time of greatest change in health care. So what do you see as your role in this position and the role of CMS in helping shape the future of health care? MR. SLAVITT: I think it’s really to listen to and absorb the voice of the people that are doing great care every day. We have 140 million consumers that are a part of Medicare, Medicaid and the Children’s Health Insurance Program, and the Marketplace. If you start with that, let’s talk about what their life is like. They’re increasingly mobile. They’re connecting to an often fragmented system where they’re not anchored. Many of these 140 million, the vast majority are on modest incomes or fixed incomes. They may have family-care needs, both with parents and with children. They worry about how they’re going to pay for the next prescription drug or about missing their bus to their next dialysis appointment. They worry about whether health care is going to become too expensive to manage. So if you keep it at that fundamental level, it makes, I think, our job pretty clear: represent the needs of the people we serve and to make sure those needs are getting met. CMS will continue to shape health care by making sure these programs are preserved, as well as evolve to meet the needs of the patients. The wrong way to do that is to put a bunch of policy ideas together in a black box and try to implement them. The best way – and it is very exciting – is to manage these programs by capturing both the voice of the patients and of the voice of the clinicians, represent those the best we can, and drive towards the delivery of high quality care. MMS: Is there anything else you want to say? MR. SLAVITT: I want to thank you all at the Mass. Medical Society for the visit we had in Boston in the physician’s office. It is so important that we figure out how to connect public policy to what happens on the ground and in the real world. It’s invaluable. And we have to keep it up. It’s not one-off. It must be a cultural commitment. In fact, in the month of May alone, we have 35 scheduled events to hear from a wide range of stakeholders and this outreach will remain an important ongoing part of our work. I personally have been meeting regularly with physician groups, including smaller and rural practices, and have spoken to thousands of physicians in different parts of the country about their work, the opportunities and challenges they face, and what this proposal means for them and their patients. The second thing I’d say is for physicians who are looking at these new regulations, to please get engaged. There is no possible way, for all the thinking our team can do, that we can anticipate every consequence of what we are working on. And as we aim to provide you with meaningful flexibilities, reduce your burden, and simplify how things get done, please help us think about how these programs can fairly and objectively reward you for the quality of care you delivery. With all of the work that went into the proposal, it is critical that we receive direct feedback from physicians and other stakeholders. We rely heavily on the feedback for people to say, “I see your intent but what is happening is there’s an unintended consequence or there is a better way to lead us.” If physicians don’t get engaged, then consequentially they will feel the impact of things that they really could have influenced, and we want them to see that we are listening. I know Washington can feel so distant, policy-making can feel so distant, and I think people are just, sheer exhausted for good reason, so sending in feedback can feel too difficult or pointless. But if this is truly able to be moved forward with all the input of the people who take care of all the beneficiaries (who I like to think actually run Medicare every day), then these new improvements will go so much better, and the Medicare program, the patients in these programs, and the practice of medicine will be the better for it. I recognize that it’s not the talk, but how we act together, that moves things forward. Which is why I think the change from Meaningful Use to this new, much simpler, much more flexible program of Advancing Care Information is so important because it’s intended to be, among other things, a proof point that we’re not just talk. We are willing to look at things that aren’t working and fix them because it’s for the good of our patients, your patients and for the good of the practice of medicine. WALTHAM — Physicians are typically first in line when it comes to technology that can help them treat patients. As early adopters of electronic health records and enthusiastic supporters of the earliest stages of Meaningful Use, typical physicians are eager to try new things and work with new tools. That is why the physician-led movement to delay the implementation of Meaningful Use Stage 3 is so relevant, he said. With only 12% percent of eligible physicians and 38% of eligible hospitals nationwide able to meet the requirements of MU Stage 2, the move to the next stage is untenable and the pressures are driving physicians out of practice. More than 100 physicians attended the AMA’s Break the Red Tape town hall meeting Sept. 29, hosted by MMS Vice President Henry Dorkin, MD, at MMS Headquarters in Waltham, to describe how misguided federal regulations had profoundly impacted their practices. Most had stories of lost productivity, useful patient health initiatives put aside for lack of time and resources, and tens of thousands of dollars spent per practice annually on information technology fees in attempts to meet Meaningful Use requirements. Many questioned why physicians are held responsible and penalized when software programs from outside vendors fail to work properly. “We treat the patient and save the lives. We shouldn’t have to write the software code for the EHR and be told we are a failure because the EHRs can’t talk to each other. The penalty programs are on us, not the vendors,” said Dr. Stack. Several participants mentioned colleagues who have stopped practicing medicine because of Meaningful Use rules, leaving thousands of Massachusetts patients — many senior or disabled in western Massachusetts — struggling to find a primary care provider. Past MMS President Ronald Dunlap, MD, estimated imposed meaningful use requirements had slowed his staff down by 30 percent. “Our productivity has been hammered by this,” he said. Lloyd Fisher, MD, a pediatrician and director of infomatics for Reliant Medical Group, said Meaningful Use Stage 2 failed to take into account practice demographics, penalizing physicians with large numbers of Medicare and Medicaid patients. “We don’t need a disincentive to treat the neediest patients. They need to change the rules,” he said.